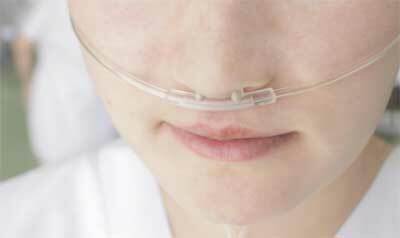 Oxygen therapy does not prevent the development of heart failure and reduce the long-term risk of dying for patients with suspected heart attack. The results of a Swedish study have been presented at the European Society of Cardiology’s (ESC) cardiology congress in Munich. It has been published at the same time in the journal Circulation. Since decades, oxygen has been used to treat patients suffering a heart attack. There was hardly any scientific evidence of a proven effect on patients who have normal oxygen levels in their blood. Researchers doubt whether oxygen therapy for heart attacks is ineffective or may even be harmful. European Society of Cardiology (ESC) guidelines on the treatment of patients with ST-segment elevation myocardial infarction (STEMI) recommend oxygen (by mask or nasal prongs) for patients who are breathless, hypoxic or have heart failure. They, however, add that the systematic use of oxygen in patients without heart failure or dyspnoea (shortness of breath) “is at best uncertain”. The DETO2X-AMI study was conducted at 35 Swedish hospitals, involving random treatment of 6,629 patients with a suspected heart attack with or without oxygen. The result shows that oxygen therapy in a moderate dose is not harmful but does not increase the survival rates or reduce complications, such as the development of heart failure or new heart attacks. “Our new study has filled a central gap in knowledge regarding how to treat patients suffering a heart attack. One year ago, we were able to confirm that oxygen therapy does not appear to reduce the risk of dying up to one year after the heart attack. We can now substantiate these findings for a long-term perspective and show that oxygen therapy does not reduce the development of heart failure, the most worrying complication of heart attacks. On this basis, the routine use of oxygen can now be eliminated, and healthcare personnel can concentrate on more efficient measures and rapid transport to the hospital,” confirms Robin Hofmann, senior consultant cardiologist, and researcher. The study enrolled six times more patients than all previous randomised trials of this therapy combined and included a much broader range of patients to make the results relevant to everyday clinical practice.